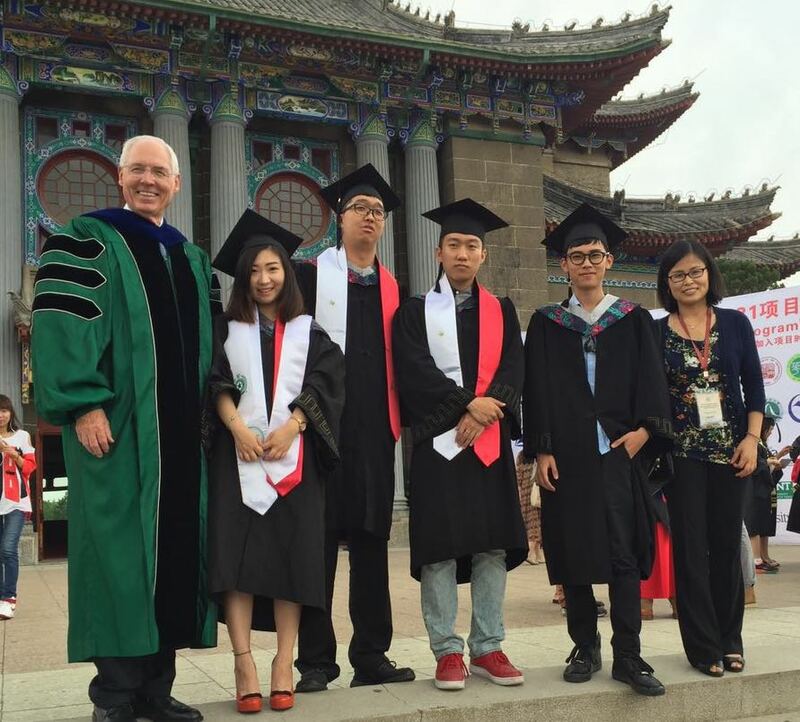 Texas history was made in Summer 2016 when UNT Provost Finley Graves traveled to China to bestow degrees on four students. The four graduated with two degrees from two universities in two countries at the same time – one from the University of North Texas and the other from a university in China participating in the China Transfer Program. The graduates – Qi Liu, Jiajun Teng, Chen Peng and Binghuan Zhang – are the first students to be conferred UNT degrees in China. Last year, the program had its first graduate who was here in the United States. The China Transfer Program is an international collaboration between UNT and the China Center for International Educational Exchange. Students first attend one year of school at a participating college in China, then they come to UNT to take all of the classes required for their degree plan here. Finally, they return to China to finish all of the requirements for their degrees there. It’s the only program of its kind in the state of Texas. Of the four graduates, two will continue their education by pursuing their Master’s degree and two have been hired by major corporations in China. The program falls under the Sponsored Student Programs within UNT International. Students have the choice of 21 undergraduate majors.